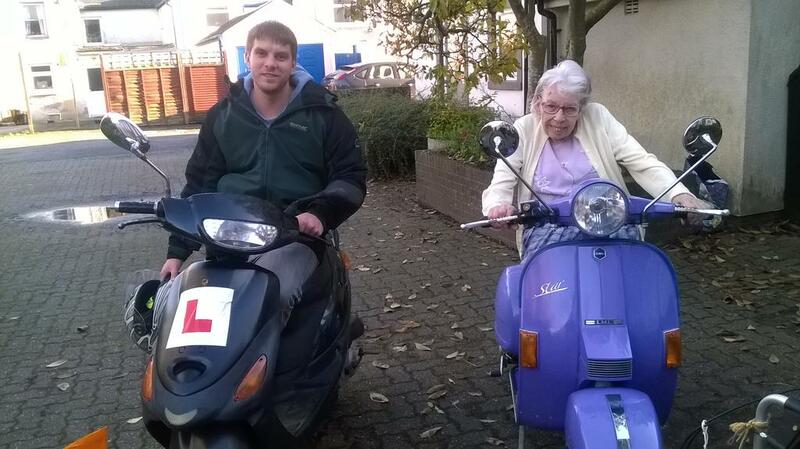 A scooter I recycled for my son out of a couple of old ones and my mum who was 89 last month sat on mine. Love the scooters. I used to have a big motorcycle when I was younger, but now I'm older I fancy something a bit more sedate. A scooter would fit the bill nicely. Firstly, welcome to the lane and secondly that scooter is something to be proud of, well done you. We live in the land of two wheelers but we do also have the weather for it. The scooters look real cool. I've never been on one. :( One holiday I want to hire one and just use it all day to get around!